Love, as they say, is in the air. At least that is what candy, greeting card, teddy bear, pajama. and rose producers would like you to believe. It is nearly Valentine’s Day, the greeting card holiday that has convinced most people that the only acceptable way to express their love is through the purchase of overpriced cards, heart-shaped boxes of mediocre candy, and roses. As you might have guessed, I am not a fan of the commercialism. However, I think Valentine’s Day has some merit if approached from the right perspective. For me a good Valentine’s Day gift would be something homemade, or something were there was some effort put into the production of the gift. 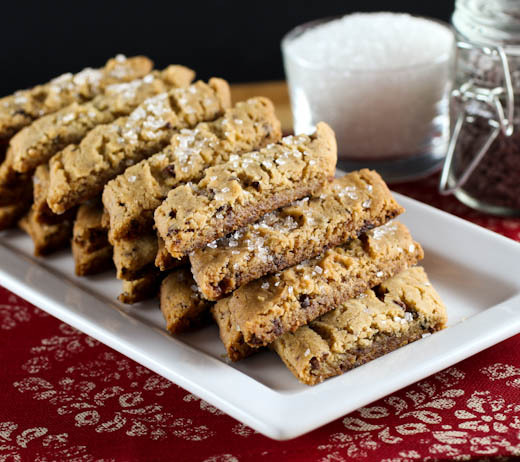 Honestly, you bake me a batch of cookies – my favorite homemade treat – and you can be sure I will know how much you care! These cookies are just plain good. 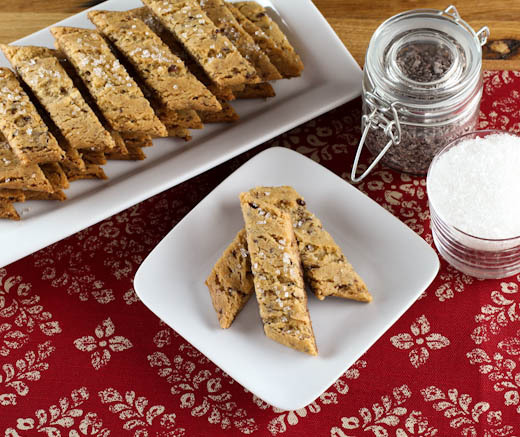 You could make them for any occasion (Christmas comes to mind, as do parties of all kinds), and you can freeze these after baking so you always have a fancy treat on hand. 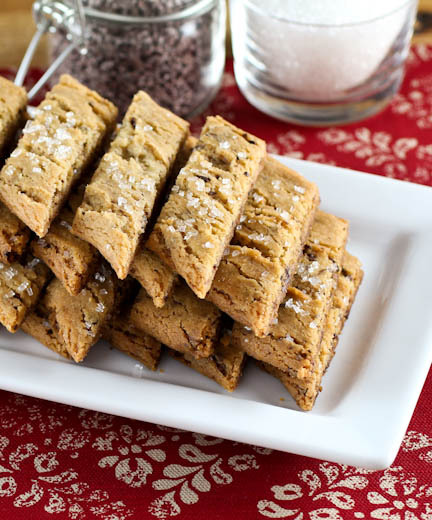 For me they are perfect for a mid-morning snack with some strong coffee, or after dinner crumbled over ice cream. This recipe is a variation on Bruna Kakor, a personal favorite of mine. This time I added some finely chopped chocolate and cacao nibs to add a subtle chocolate flavor to the buttery flavored cookies. 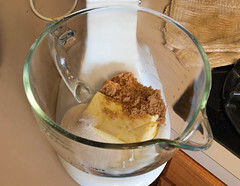 Because I wanted to up the ‘oomph’ factor, I added some vanilla and substituted half of the sugar with light brown sugar. It did the trick! The recipe calls for golden syrup, but if you can’t find it you can substitute honey. That said, try and find the golden syrup if you can because it really gives the cookies a unique flavor that honey just does not create. If you are worried about the golden syrup languishing, unused, in your pantry please note you can use it where you would use honey or maple syrup. On its own it has a complex, almost buttery, flavor. I love it drizzled over buttered biscuits, grilled peaches, and ice cream. 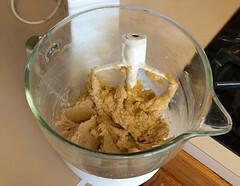 In the work bowl of a stand mixer, or in a large bowl with a hand mixer, combine the butter, sugar, brown sugar, golden syrup (or honey), and vanilla. Beat on low-speed until just combined and smooth, about 1 minute. 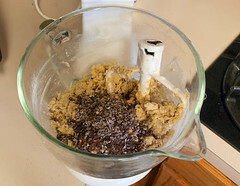 Add the flour, baking soda, and salt and mix on low-speed until just combined, about 20 seconds, then add the chopped chocolate and cacao nibs and mix to combine thoroughly, about 10 seconds more. 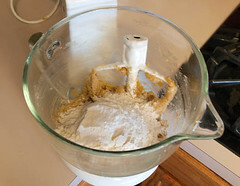 Turn the dough out onto a lightly floured surface and divide into six equal pieces. 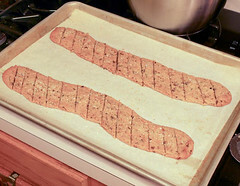 Roll each piece into a rope about 15-inches long. 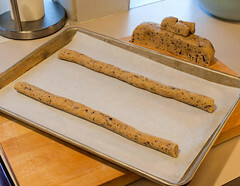 Place two ropes on a baking sheet and bake for 8 minutes so the cookies can spread, then sprinkle the coarse sugar over the bars and continue baking to 8 to 10 more minutes, or until the cookies are golden brown but not dark. 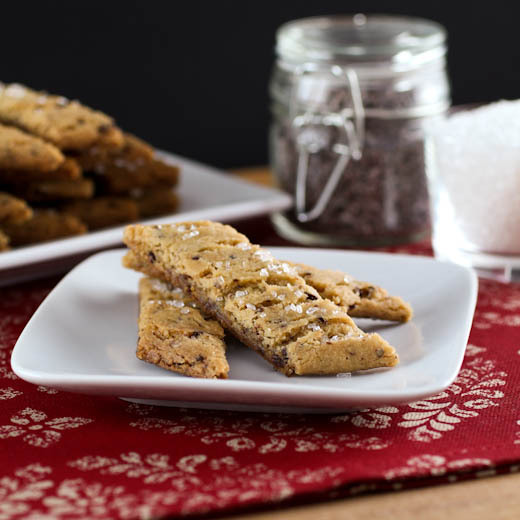 Remove from the oven and cool for 1 minute, then with a pizza cutter or very sharp knife slice each bar vertically into ½-inch cookies. Allow the cookies to cool completely on the pan.